Fourth grade was a major year in my life. This was the first year that I had a male grade school teacher, the space shuttle challenger exploded, a girl in my class got head lice, oil prices drop below $10 a barrel, (ok…it don’t really remember that one), Bill Elliot sets the stock car speed record at over 200 mph, (that one I do remember), and of course the arrival of Halley’s Comet. I remember my “male” grade school teacher emphasizing the significance of this event and told us each night to go and look at the comet. In fact, I recall him stressing the reality that this even would not happen for another 75 years, thus making most of the class 84-85 years old during Halley’s next pass. I remember sitting there thinking…”huh, 84 years old…I can do that no problem.” I am not yet half way there, and the way my body feels now?...I’ll never make it. 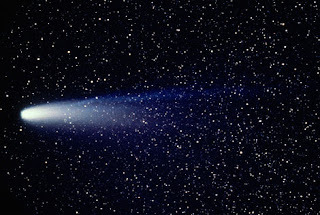 The irony of it is…I never saw Halley’s Comet back in 1986. It was there, and all I had to do was look up, but I didn’t. I missed it. Now, if I ever want to catch a glimpse of the renowned cosmic wonder…I need to live ‘til I’m 84, and even if I live to be that age, I could very well be legally blind, or have such incontinence issues that I can’t go further than 30 ft. from the little boy’s room. Although I know many 84 plus year old men you are as young and as spry as an 83 year old man, maybe even some as spry as a 50 year old man. The point is, I missed it. For most, Halley’s Comet is a once in a lifetime opportunity, and during my 9 year old ignorance…I missed it. In the Gospel of John we read how Jesus Christ…the creator of the world...came to the world that He created, and yet, was not recognized. Many missed the fact that the creator of the world walked among us. Not only that, but also, the fact that Jesus…the foretold Messiah, was also missed. What about today? Many of us go through this life today and still miss it. We miss the fact that we have this short window by which to choose to follow Christ. Rather, we choose not to look…just as I never looked up to see the comet…we choose to avoid contact with the Creator…and Savior…of the world. Don’t miss it. Christmas is not yet 4 weeks removed and one of my lovely children stated to me, “There is nothing to do”…Really?...”I’ll bet I could find something for you to do!” There just happens to be laundry that needs to be folded, dishes that need to be washed, toilets that need to be scrubbed, rooms that need to be cleaned, garbage that needs to be taken out, closets that need to be cleaned…sometimes I wonder if the list ever has a bottom line. In all truth, probably not, because once the top item on the list is finished it flips right back to the bottom of the list. I usually find myself sitting and stating things like, “I shouldn’t be sitting here…I should really be fixing the sink drain or repairing the cabinet door. There is always something to do. There is so much to do…my children, who have nothing to do, have suddenly found something to do. We use the word “nothing” frequently. “What are you thinking?...”Nothing…” As much as it may feel that we are thinking nothing…I find that to be quite literally impossible. We are always thinking something. Even when we sleep, it seems that our brains are working. Take dreams for example, just last week, I had a dream that I was preaching to a full house at the local Little Falls High School gymnasium…and before I was done, everyone had left and walked out except for my friend, Sam. Thanks Sam, for not leaving…but I cannot deny, I am sure curious where everyone else went. Our minds are always working…except perhaps with teenagers…sometimes their minds seem to stop working…it’s probably linked to hormones…I wonder if they make a “thinking” drug yet? 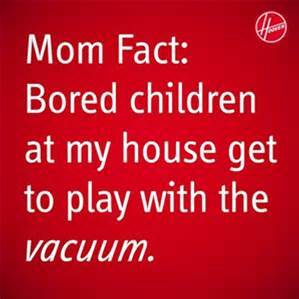 They probably do, but it likely would include some side effects like tidiness, politeness, overall pleasant behavior, respect…and if that happened people would know we were drugging our children. It’s hard to fathom, but when we look at creation…everything around us had to come from somewhere…it had to have been made. It must have come from something…or someone. We find in both Genesis 1 and John 1 a moment at which all things were created. In fact, in the passage in John 1:3, it states that “…through him all things were made; without him nothing was made that has been made.” This passage is specifically referring to Jesus. Jesus was not only “there” when something…came from nothing…but he made it so. John, in his Gospel, states the strong truthful message…that Jesus Christ…IS GOD, and whether we want to acknowledge this or not…we all need to do something about it. Do we accept it? Do we reject it? Do we follow Him? Or do we turn our back on him? At this point…you have a choice. I saw a news article this morning, in which, a man, who was so upset with his local DMV, that he decided to pay the sales tax for two cars that he had purchases with 300,000 pennies. He used 5 wheelbarrows to haul the pennies into the DMV to pay the nearly $3000 tax. He says that he did it to prove a point. He was inconvenienced by having to fill out a form, requesting information he was seeking. So to retaliate, he decided to inconvenience his local DMV, by forcing them to count 300,000 pennies by hand. 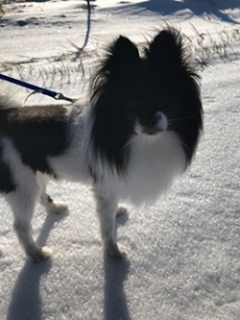 He identified his enemy…and then he attacked. But was it the right enemy? A similar situation happened in Texas a few years ago in which a man paid his speeding ticket using 22,000 pennies. He claimed that 39 mph was not exceeding a speed limit of 30 mph. He identified his enemy, which in this case was a female clerk (who did not issue his ticket, nor was part of the jury that proclaimed him guilty) and attacked by pouring the 22,000 pennies over the counter where the clerk was working. Was this the right enemy? I am no better. I have been guilty, countless times, of irrational anger toward people, who are not my enemy. I remember one particularly humbling situation, where I verbally attacked my younger, teenage sister about her ineptitudes in handling the laundry. She had destroyed one of my shirts in the laundering process. My mother approached me in tears…threw the shirt in my face and said that she was the one that made the mistake…oops… I went from the attitude of king and ultimate authority to a salamander under a rock in record time. My enemy was not my sister…though I often treated her as such. My enemy was not my mother. I believe that the enemy was much greater and darker than just a person who I could attack around me. I have come to believe that the enemy was spiritual. We have a human nature. Our human nature continues to influence our thoughts and actions. I believe that the Enemy…the Devil…attacks us where we are weak. In this case, I believe that I was convinced that my anger was righteous, and that I deserved to lash out at those around me. This happens all the time in our lives. We attack co-workers, family members, fellow church members, team members, and anyone else who doesn’t fit into the role that we have assigned for them. We use our words to criticize the people around us…we use our words to tear others down, while elevating ourselves. We identify the enemy and we attack...but have we identified the right enemy? 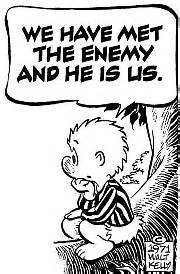 Walt Kelley is credited with the quote from his Pogo cartoon, “We have seen the enemy and he is us.” I don’t think that this is the way that God intended for his people to interact with each other…as enemies. In the duration of our lives we find ourselves in constant battle. We may not even be aware of it. We may see the way that a family member, a co-worker, a church member, or a team mate treats us is wrong…and we criticize, attack and berate them…often times behind their back. We lash out and attack people who are not the enemy. When people do things that we think should be different, or we feel disrespected by their actions, we attack with critical words and gossiping to others. We have identified the enemy…and he is us…but is this who we should be fighting against? Sure it’s human nature…but the real enemy is using it against us. The Real Enemy wants nothing more than for mankind to tear down and attack one another. When things don’t go the way we want them to be or someone’s personality is contrary to our own…we see them as the enemy and we attack. This is not right. When we see this happening, we have a responsibility to help one another identify the real enemy and fight the real enemy and not each other. When we hear gossip and criticism we need to point the person back to the source for reconciliation. This is especially true within our churches. People who state their beliefs and faith in Jesus Christ…and claim to be followers of Christ, attack one another, pointing out one another’s mistakes and flaws. We see the enemy and we attack…but have we identified the correct enemy? Ephesians 6:10-20, makes it abundantly clear, “our battle is NOT against flesh and blood…” Our battle is a spiritual battle. When we engage in the spiritual battle we find that the Holy Spirit is the one who fights for us. We find that as fellow followers of Christ, we can spur one another on to fight the right enemy…together…rather than fighting a battle against one another. It’s time that, we, as the Body of Christ, join together and fight the REAL enemy. Discipline is uncomfortable. When we are disciplined enough to follow through with our new year’s resolutions, we find ourselves with sore muscles from our new exercise regimens, growling stomachs from our new diet restrictions and painful waistlines from trying to force our belts tighter than they ought to be in attempt to rush the results. Yet, discipline is critical in our lives. It takes great discipline to live a healthy lifestyle. Likewise, it takes great discipline to be a parent. It takes great discipline to honor our fathers and mothers, and to respect and honor the authorities in our lives. It takes great discipline to care for those in our lives who work for or serve us. Discipline doesn’t start and stop with mankind. It starts and stops with God. He disciplines us…to train us…and mold us to obey him…to become more like him…to become who he has created us to be. His discipline is likewise uncomfortable. In Ephesians 6:1-9, Paul gives us this picture of God calling children to obey their parents, parents to discipline their children and care for them, servants and masters to treat each other with great respect. We are called to all of these things…so that we may display the Gospel of Christ. So that our lives will point to Jesus when we honor our parents and that as parents, we can point to Christ as we discipline our children in a God honoring way. Jesus can be glorified when workers honor their supervisors, and His Gospel moves forward when bosses treat their employees with dignity.